Hey guys! Don't you just love loyalty cards that earn points when you purchase? I know I do especially from my most trusted and frequently visited stores like The Body Shop and Tony Moly. Over the years, I've accumulated quite a number of loyalty cards from different establishments that it came to the point when not all of them can fit in my purse anymore. There were times when I could have availed great promos but didn't because I left the card in my other purse. Good thing I got Perkd just in time. Perkd is an application that you can download on your iphone, itouch and android phone or tablet. 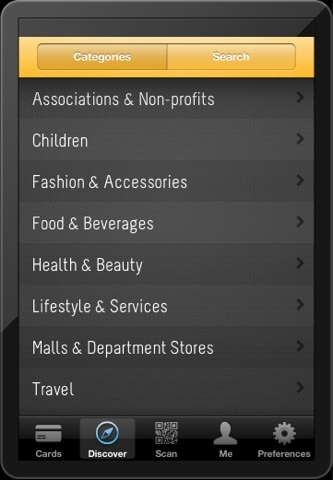 It allows you to transform your membership and loyalty cards in virtual form. This way, you don't need to have all your cards with you just to avail and enjoy promos and freebies. You won't miss out on perks again! What's even better is all your cards are automatically backed up. Just sign-in to restore all your cards when you switch to a new gadget. 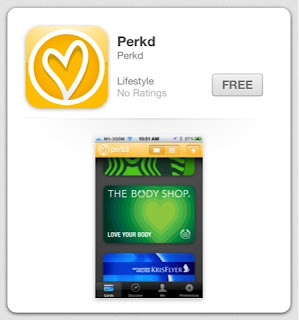 To get started, simply install the Perkd application from app store or play store for free. 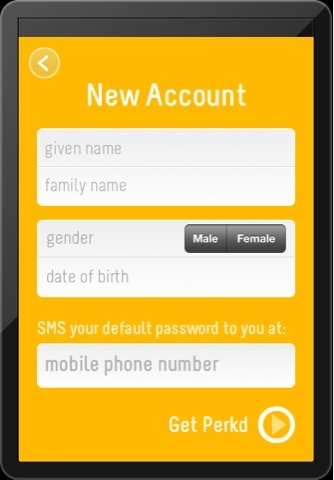 Sign up for a new account by entering your name, gender, date of birth and mobile number. You will then receive a 6 digit verification code which also serves as your password via SMS. 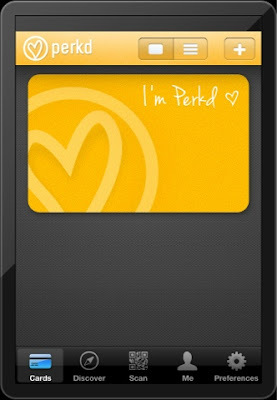 Enter the code to get your Perkd membership card. 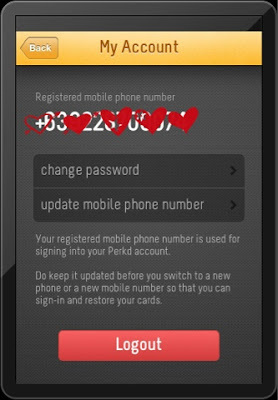 You may change your password by clicking your Perkd ID and "manage account" button. To start creating your virtual cards, click the plus sign (+) on the upper right corner of the screen. 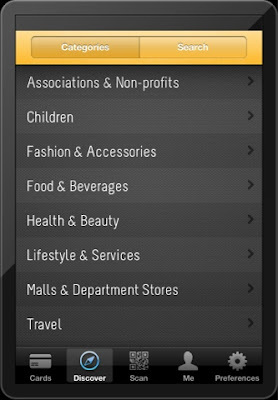 Search for the card under "categories" or simply type in the name of the card after clicking the search button. Remeber that not all cards are supported by Perkd but you can suggest cards to add by clicking "Preferences" on the lower right corner of the screen. 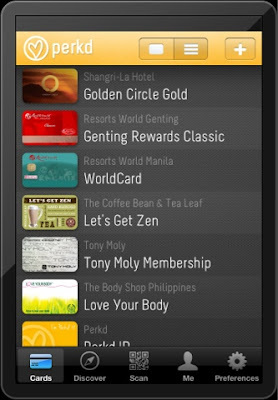 So far I have virtual cards of Love Your Body, Tony Moly, The Coffee Bean & Tea Leaf, Resorts World Manila, Resorts World Genting, Priority Club and Golden Circle. I also suggested L'oreal Exclusif card so I'm just waiting for a reply from Perkd. 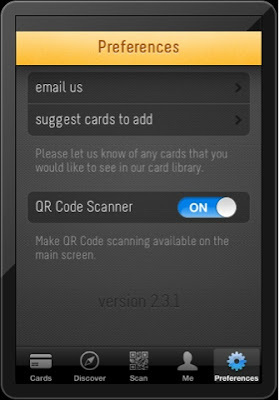 Overall, I love that we have virtual cards in our phones and other gadgets. Now we can confidently leave the house without thinking of which card to bring and never miss out on perks! So what are you waiting for? Get perkd and start enjoying a world of virtual freedom.